Gambling is a fun pastime that whispers of fast, easy money and the ability to live out your dreams with just the pull of a lever. It has been around for thousands of years and is considered one of the earliest of human vices. And like other behaviours, it can lead to addiction and financial ruin very easily. Let’s look at this further so that you can spot the signs of gambling addiction in yourself or your loved ones. It isn’t a drug, so how can gambling be an addiction? Well, behaviours can be addictive as well, if they are rewarding to the person in some way. It becomes a cycle of reinforcement, where a person does something, in this case, gambles, which in some cases can activate the pleasure centres of the brain. When these centres become active in the brain, the feeling can be very powerful; it may be enough to forget a person’s normal troubles or anxiety. Thinking of it this way, it can be easy to see why gambling could become addictive if the brain is finding relief just by doing it. Gambling addiction has another problem. It offers someone who may already be struggling with the fast, easy solution to life’s problems. It offers financial independence and never having to work again. All that needs to happen is you get lucky once, and maybe the next roll of the dice will do it. With that thought process, a person is on their way to a gambling addiction. A gambling addiction will be different in some regards than a drug or alcohol addiction, but still very similar in other ways. Gambling addiction will not have much of a physical component, but a person with an addiction will display many of the same behaviours as a person with any other type of addiction. A person with a gambling addiction is also likely to suffer an emotional toll as well. They may find themselves suffering from depression or anxiety, as the weight of the problem and the financial burden wears on them. They may have a very short temper and be agitated and upset for no reason. Finally, they may talk about feeling hopeless or suicidal as the desperation sets in and feeling trapped becomes a reality. Other behaviours that you might see include sleeplessness, short-temper, recklessness such as driving recklessly or doing other dangerous things, or worst-case scenario the person makes a suicide attempt because they feel so trapped and hopeless. It may provide excitement for you and give you a rush of adrenaline: Take up a sport or an active hobby, such as Go Kart racing, mountain biking or rock climbing. It may be because you want to be more social or overcome your shyness or isolation: Attend counselling, connect with family and friends, join a social group, volunteer, find new friends. It may be that you want to decrease unpleasant feelings and not think about our problems: Try speaking to your doctor about the issue or consult with a therapist. If you are bored or feel lonely: Take up other things that you are enthusiastic about such as music, sports, art, or books and then find others with the same interests. To relax after a stressful day: As little as 15 minutes of daily exercise can relieve stress. Or deep breathing, meditation, or massage. To solve money problems: The odds are always stacked against you, so it’s far better to seek help with debts from a credit counsellor. While this is a very serious condition, gambling addiction is also very treatable. The hardest part will be taking that first step towards recovery, and from there it gets easier. In treatment, the person with the addiction will be thoroughly assessed for underlying causes. This is because many with an addiction are using it as a way to cope with other issues, like depression or relationship problems. Tackling the addiction problem means treating the other conditions as well. The person will also receive education on the nature of addiction, mental illness, as well as the reward and reinforcement cycle that has them trapped in a loop of gambling addiction. Finally, they will get both individual and group counselling. This will focus on healthy ways to cope with and understand the unhelpful thought processes that lead to the addiction in the first place. Using cognitive behavioural therapy, the individuals in treatment will get the assistance they need in correcting those unhealthy thoughts. Support groups are another way to get the tools needed to overcome an addiction. There, the people in the group can learn from one another, hear each other’s stories, and learn what is helpful, and what is destructive from those that have already been there. 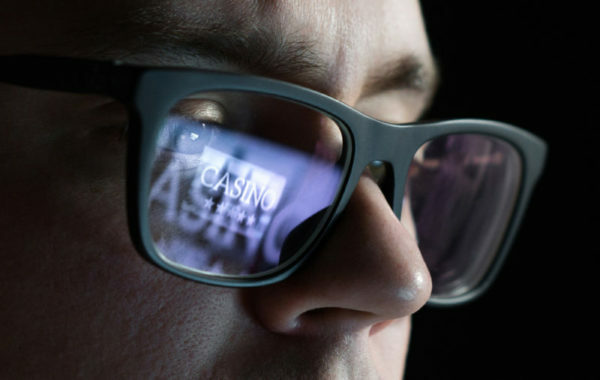 Gambling may seem like a harmless pastime, but it has the potential for misery, financial ruin, and addiction when it is used as a coping skill or a fast, easy way out of hardship. This does not have to be the case. Gambling addiction can cause tremendous relationship, mental, emotional and financial problems. If you or someone you love has the symptoms of gambling addiction, please reach out for help now, before any more damage is done.